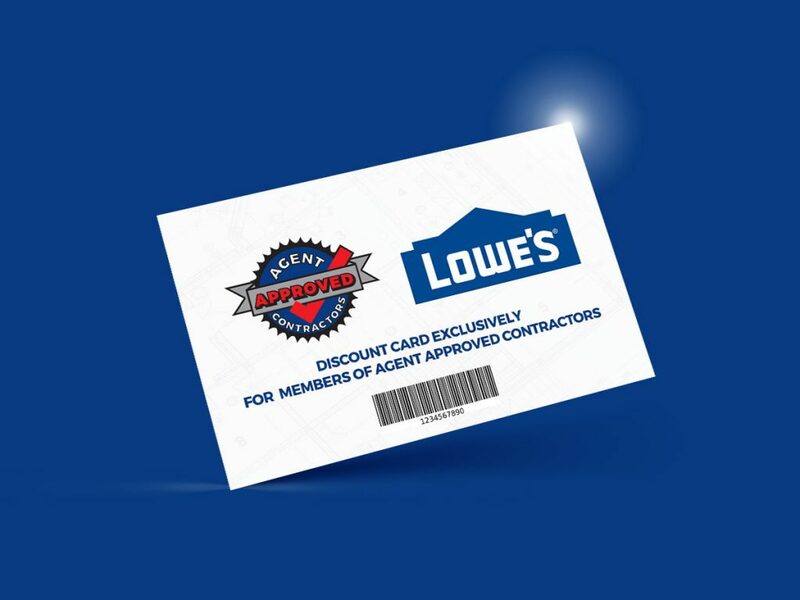 Members able to take advantage of a discount through a co-op agreement with Lowe’s tailored for AgentApprovedContractors.com! Many agents are already taking advantage of similar programs for themselves and their clients. Agents with companies like Hometown Realty, Long and Foster, United Realty, Century 21, Coldwell Banker. Existing members click here to request your card. Not a member yet? Sign up!